Hurricane season starts June 1. Here are some ways Texans can prepare. People along the Texas coast should consider buying insurance, packing an emergency supply kit and learning their evacuation routes now. Hey, Texplainer: How can I prepare for the upcoming hurricane season? Hurricane season is coming — and it can be deadly. Texas got its most recent glimpse of that during Hurricane Harvey, a storm that slammed the Gulf Coast in August and left Houston grappling with unprecedented flooding. Dozens of people died. The storm caused an estimated $200 billion in damage. Smaller towns that rely on tourism are still grappling with the aftermath. But everyone does need to be prepared; Hurricane season in Texas starts June 1. 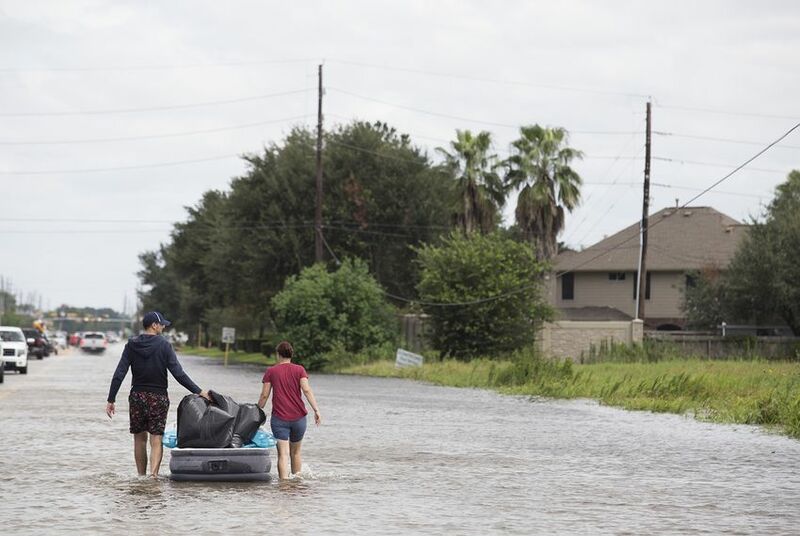 “We don’t often get hurricanes back-to-back but it can happen and they’re saying it’s going to be an active year this year,” said Mark Hanna, manager of public relations for the Insurance Council of Texas. Ben Gonzalez, a spokesman for the Texas Department of Insurance, says that preparedness starts with buying a homeowners insurance policy, which protects you from the costs associated with incidents such as a fire, theft and burglary, among other things. Before purchasing a policy, Texans should review how much the deductible might be and any limits to the policy, Gonzalez said. Gonzalez said his organization also strongly encourages residents along the coast to consider buying flood insurance and a windstorm policy — even if you don’t live in an area where your mortgage requires it. Harvey’s epic rainfall flooded homes that don’t sit inside floodplains. According to Gonzalez, homes and properties in 14 coastal counties and in parts of Harris County are in designated “catastrophe areas.” If homeowners in these areas aren’t able to get private insurance that covers windstorm and hail damage, they can buy a policy through the Texas Windstorm Insurance Association, he said. In case of any weather emergency, the Texas Department of State Health Services suggests creating a disaster supply kit, which should be packed in either a portable container or a backpack. Some of the recommended supplies are a three-day supply of food, one gallon of water, a first-aid kit, a flashlight and matches. A complete list of recommended items can be found here. The Texas Department of Public Safety also warns Texans to learn evacuation routes before storm season and to contact the local office of emergency management to get information on making arrangements for anyone who may need special assistance during an evacuation. Flood insurance takes 30 days to take effect after you buy it. It’s relatively inexpensive for people who live outside a floodplain, he said. Get your insurance now if you want to be protected from a storm. Companies will no longer offer windstorm insurance if a named hurricane enters the Gulf of Mexico. Do a home inventory. All you have to do is take pictures or video of your personal property (i.e. couches, jewelry, guns, etc.) so an insurance adjuster can compensate you fairly. The bottom line: People along the Texas coast should consider buying insurance, packing an emergency supply kit and learning their evacuation routes now. Disclosure: The Insurance Council of Texas has been a financial supporter of The Texas Tribune, a nonprofit, nonpartisan news organization that is funded in part by donations from members, foundations and corporate sponsors. Financial supporters play no role in the Tribune's journalism. Find a complete list of them here.